Making the jump from team member to manager is one of the most difficult transitions to make in corporate life. And it’s one that people are often left to navigate alone. This is a crucial mistake organisations make. Good management is key factors in employee satisfaction. But how can someone become a good manager when they aren’t shown how to be one? It’s often left to the individual to seek their own mentor, or take a trial and error approach, using what they’ve observed from past managers. But seeing management done and being a manager are vastly different, especially when it comes to managing personnel issues. Few new managers are equipped with the experience to handle complex HR issues, and despite their best efforts, they can may make mistakes. Not only does this cause unnecessary distress to all involved, but it costs an organisation in terms of lost productivity, and can also have legal ramifications. For example, let’s look at Jeanette’s story. She was promoted to a management position in a new team. Jeanette’s supervisor was too busy to help her with every little question she had, and besides, Jeanette did not want to seem needy or incapable. So she did her best with the direction she was given, and used her weekly meetings with her supervisor to seek guidance. At first, things went well. But then old tensions in the team simmered to the surface. Jeannette tried to get to the bottom of one conflict by calling the groups in separately just after the event. But emotions were high and because of her lack of experience, she did not recognise that the conversation was best left for another time. She wanted to ‘nip it in the bud’, and be seen as a proactive manager. Jeanette tried to calm the urging everyone to consider the perspectives of others. It was a valid suggestion, but the wrong time to make it. Instead, they felt they were being brushed off with platitudes. And the more Jeannette tried to stop the downward spiral, the worse things became. Experiences like this sapped Jeannette’s confidence, and those who wanted to avoid their new responsibilities took full advantage of that, by going straight to Jeanette’s boss. The boss questioned Jeanette’s approach and warned her that formal complaints of bullying might be made by team members. Jeanette was left feeling alienated, alone and vulnerable. She would go into work afraid of what the day would bring, and wondering what mistake she would make next. Slowly, her health declined, until she had to take sick leave. It was a situation that could have been avoided had Tina been mentored and supported through her new role. But it’s one that is repeated every day around the world. 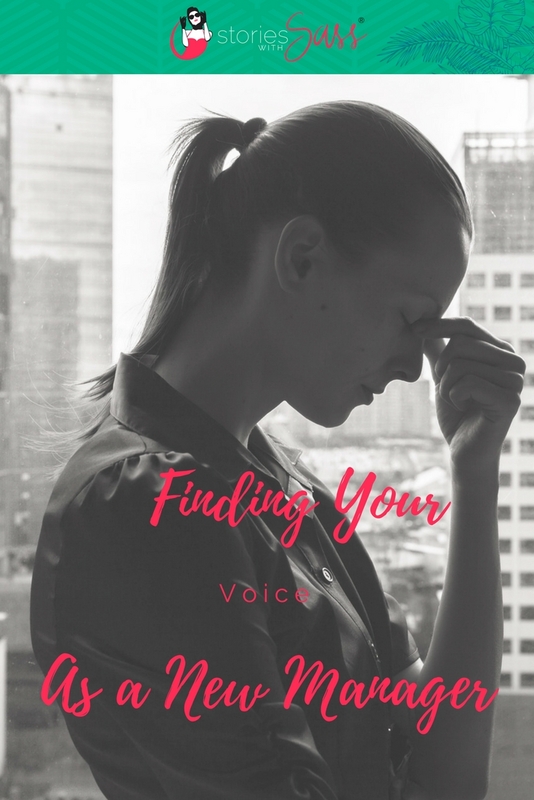 If you are a new manager struggling to find your voice as a manager, then please know you are not alone. And please do not struggle alone. Reach out for help. Find a mentor in your organisation. Hire a coach (get your employer to pay for it, or claim it as a tax deduction). Find someone who can give you honest, unbiased advice. With a little support and advice, becoming a manager can be an exciting time in your career! If you want to talk through something in confidence, then please reach out for a free 15 minute discovery call with me. It is truly possible for you to feel confident in your new role, and to find your voice as a manager. Let me show you how!